Central government employees: At present, a large number of Indian Railways' IT cadre employees work under Rs 4200 grade pay. The year 2019 has been more than generous for the central government employees as well as their state counterparts. They have received not only pay hike but their allowances have also been increased. Now, the Indian Railways has approved a long pending demand which will please lakhs of its employees and fatten up their wallets. In a big news, public transporter Indian Railways has approved cadre restructuring plan for its IT personnel. Due to this restructuring by the Railways, there is a possibility that the employees may get promotions and their salary can also get hiked. The Indian Railways had inducted personnel under IT cadre with the arrival of computers in the department. However, the structure of personnel working under the IT cadre was never taken seriously. After pressure from the railway employees' organizations, the Railway Ministry has now approved the restructuring of IT cadre personnel. Under the new arrangement, 67 percent of the employees under IT cadre will be placed under 4600 grade pay, while 33 percent personnel will be placed under 4200 grade pay. 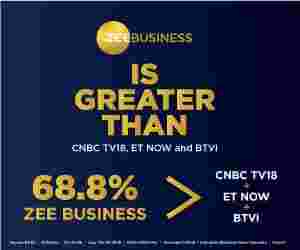 All India Railway Men's Federation's General Secretary Shiv Gopal Mishra revealed to ZeeBiz.Com that the organisation had been struggling to get a restructuring plan for its IT cadre passed for a long time. He said, "It is also a great achievement for the railway workers along with the organization. The ministry was not prepared for restructuring based on the strength of the section. Now, the organization's next step will be to get gazetted cadre for these employees". At present, a large number of Indian Railways' IT cadre employees work under Rs 4200 grade pay. Now, after the restructuring, the salaries of employees getting a new grade pay will also increase and promotions may also be on cards for them and other employees under this cadre. It's notable that in February this year, the Indian Railways had approved the proposal for cadre review of 8 organized Group 'A' Services in Railways namely Indian Railway Accounts Service (IRAS), Indian Railway Personnel Service (IRPS), Indian Railway Traffic Service (IRTS), Indian Railway Service of Engineers (IRSE), Indian Railway Service of Electrical Engineers (IRSEE), Indian Railway Service of Mechanical Engineers(IRSME), Indian Railway Stores Service (IRSS), Indian Railway Service of Signal Engineers (IRSSE).